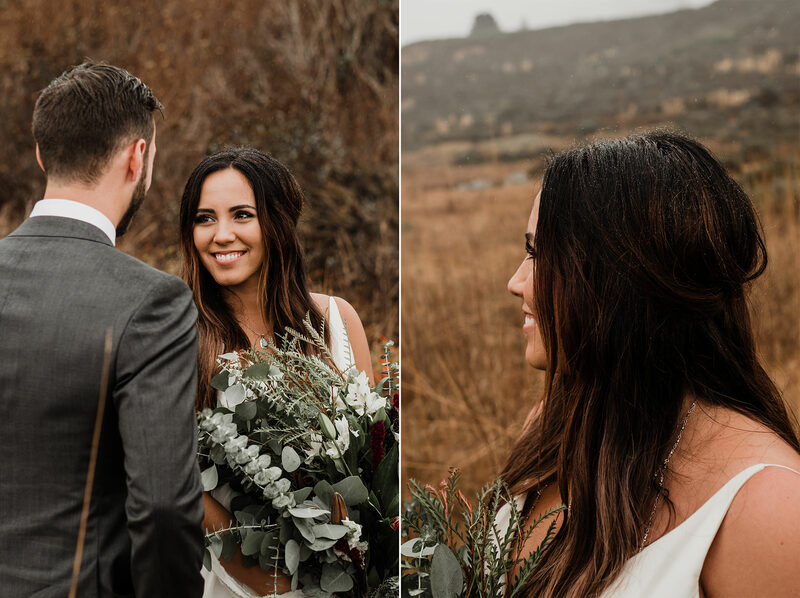 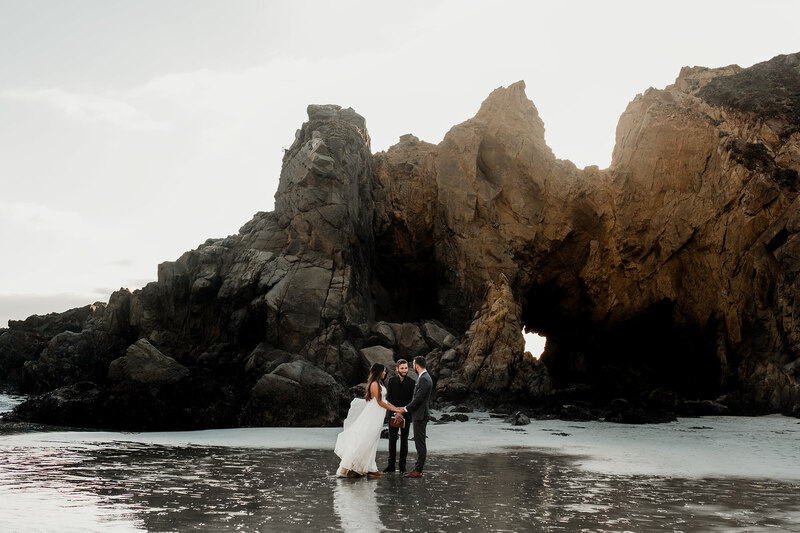 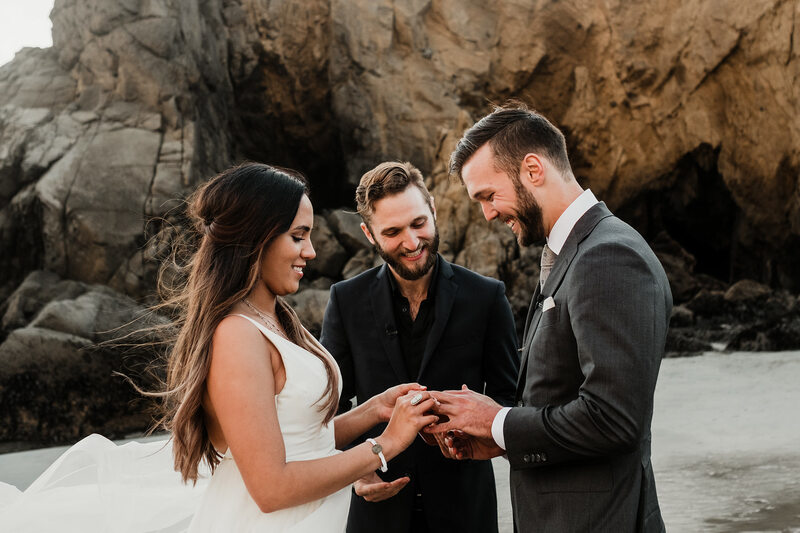 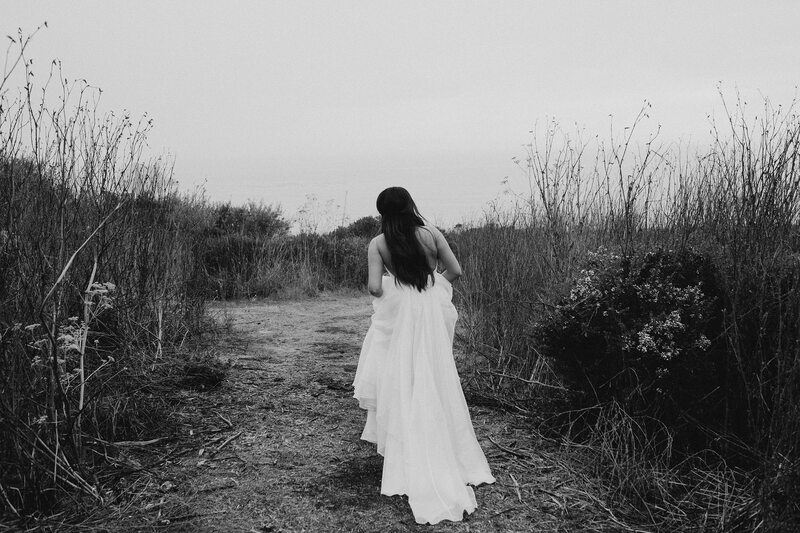 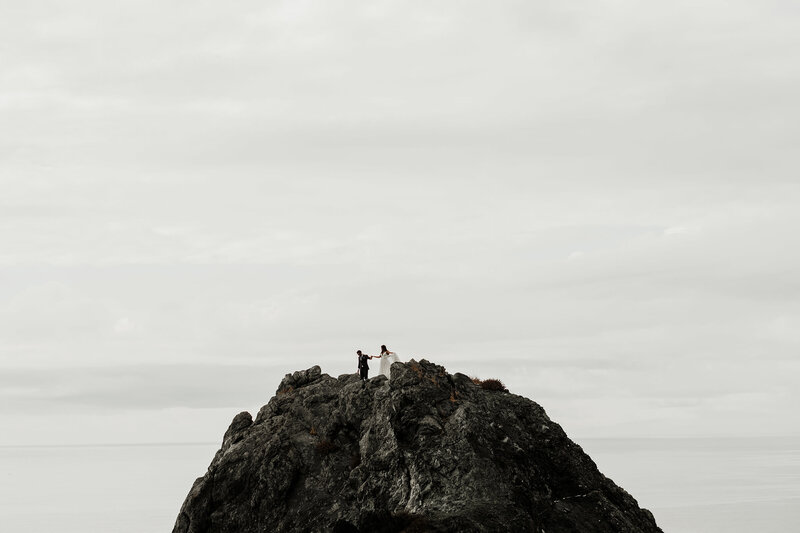 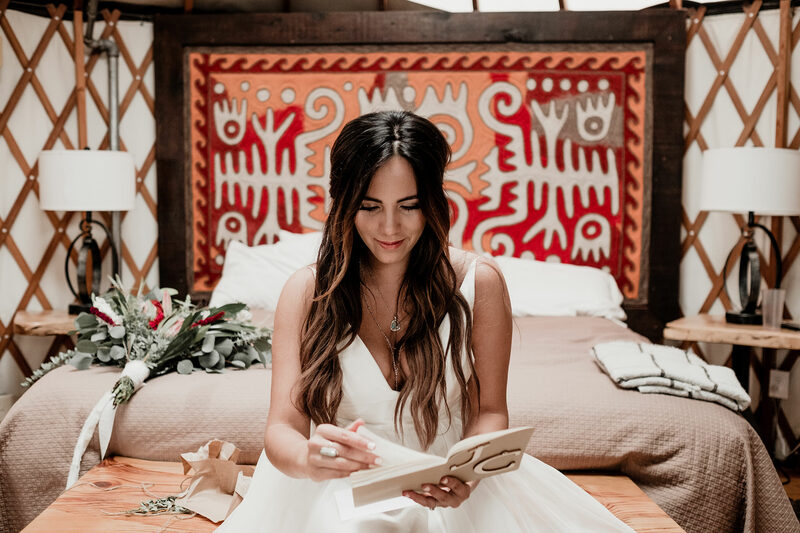 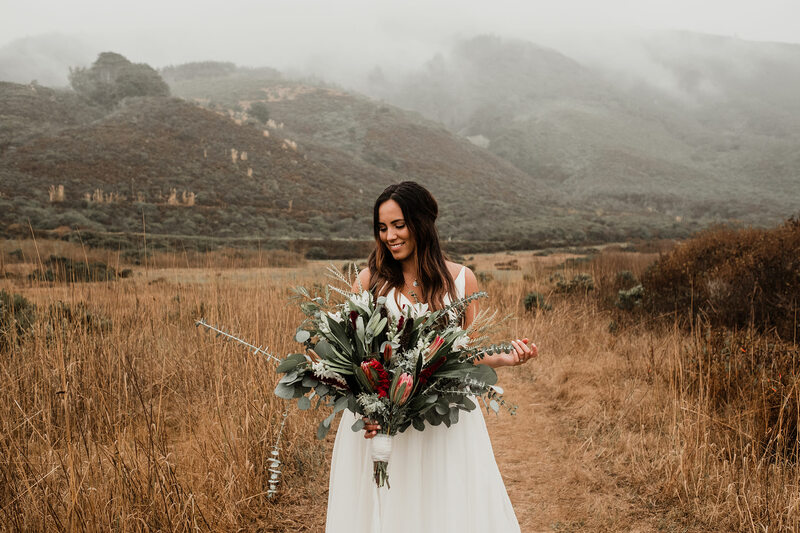 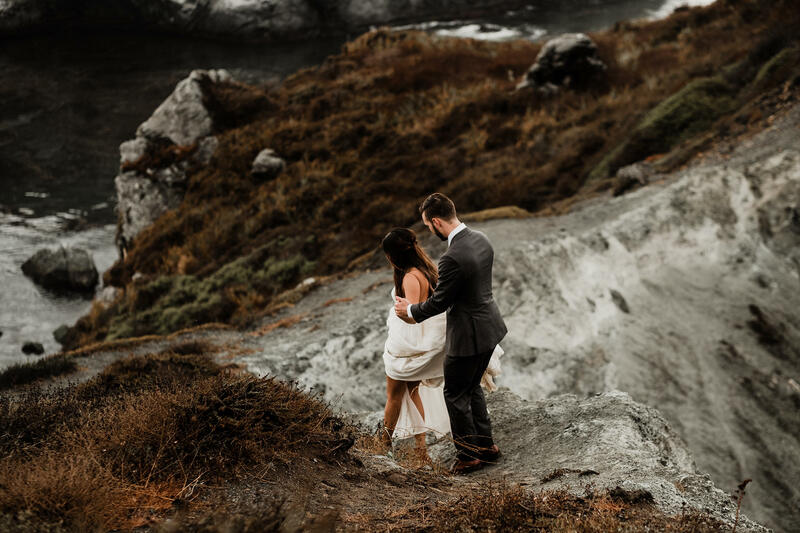 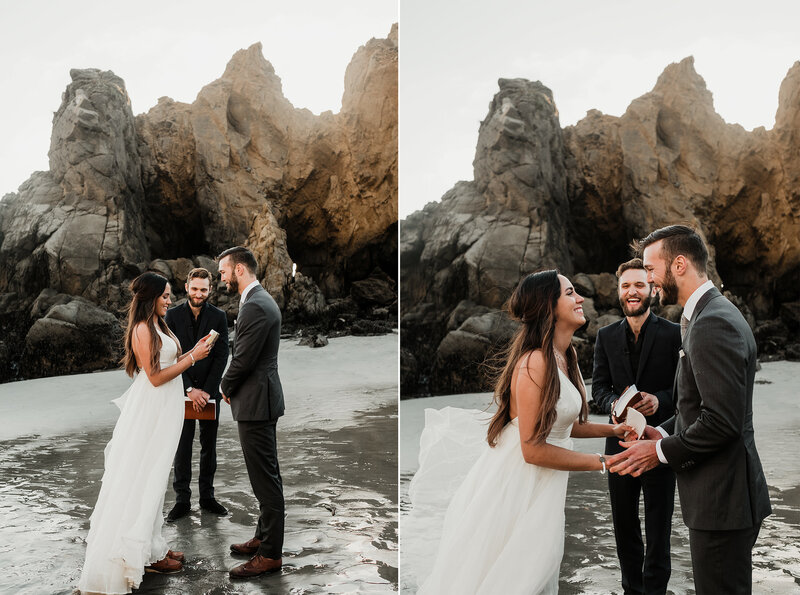 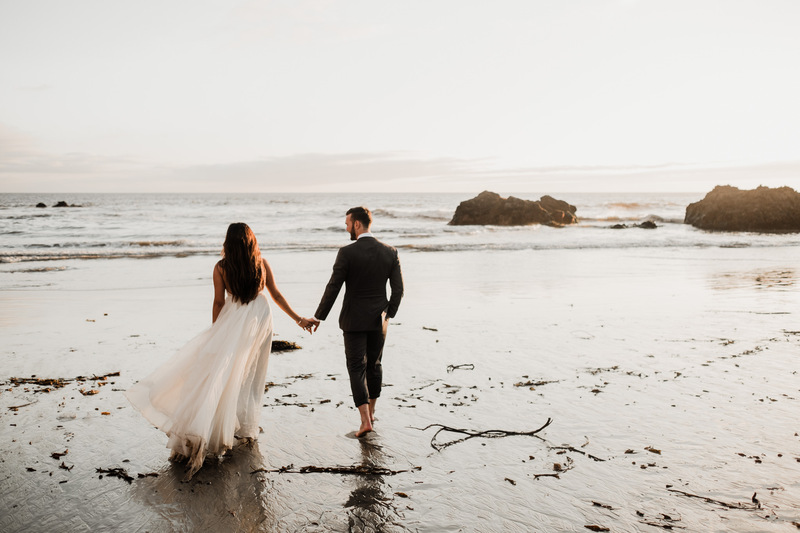 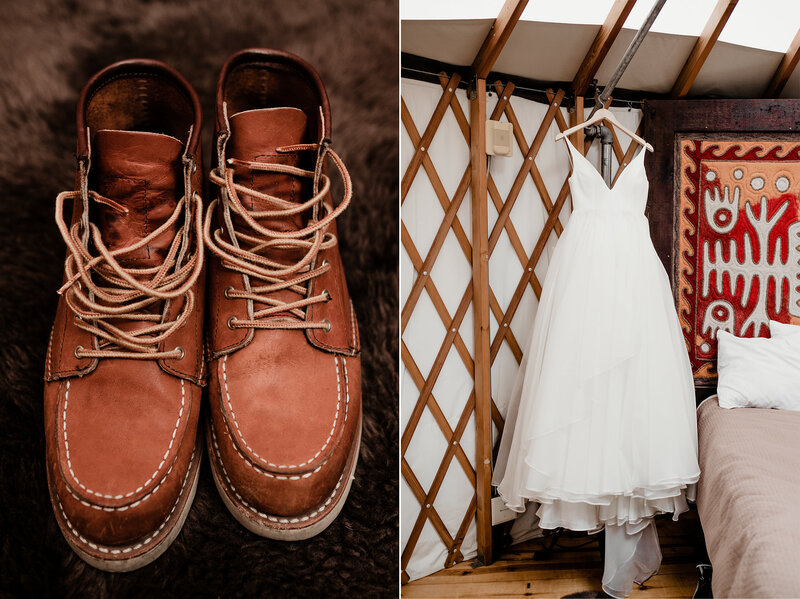 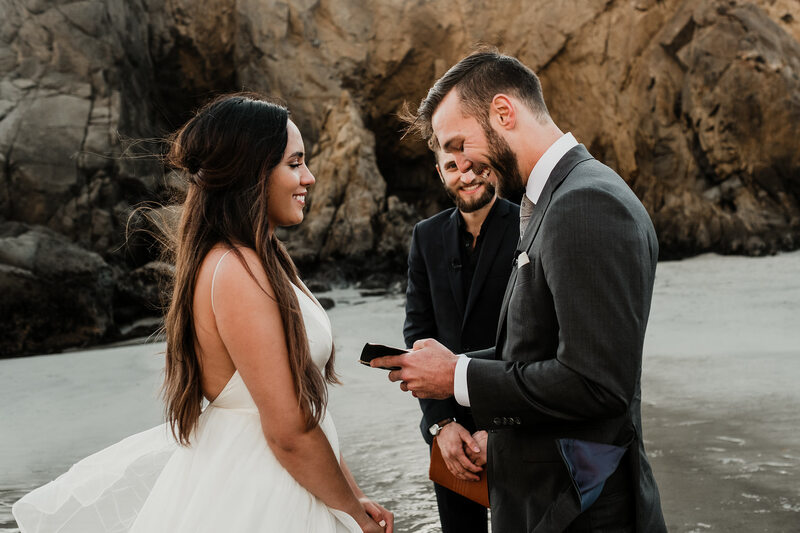 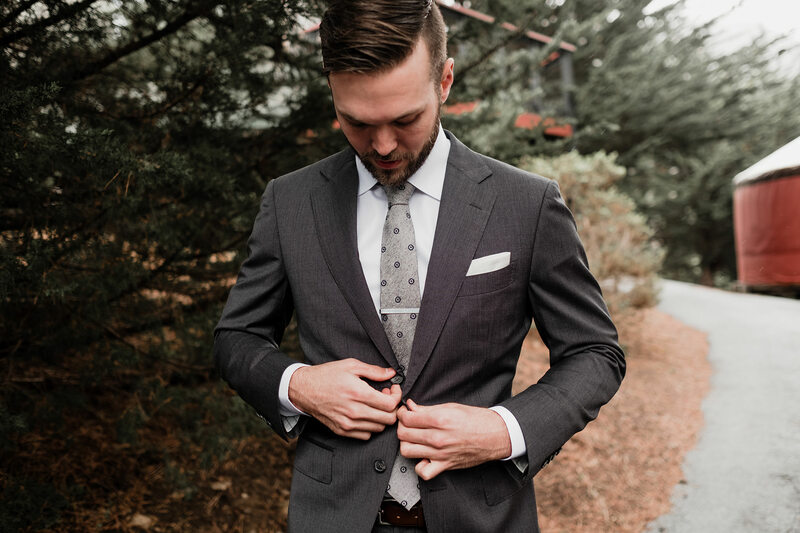 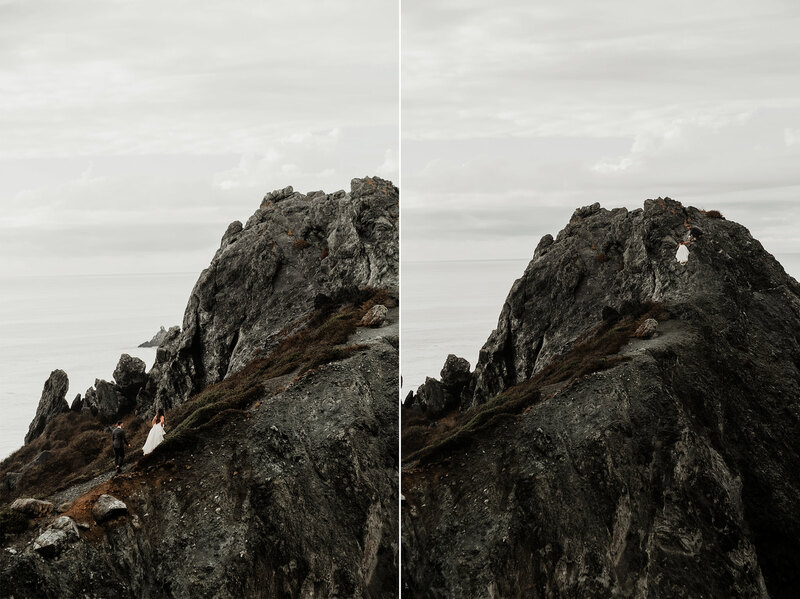 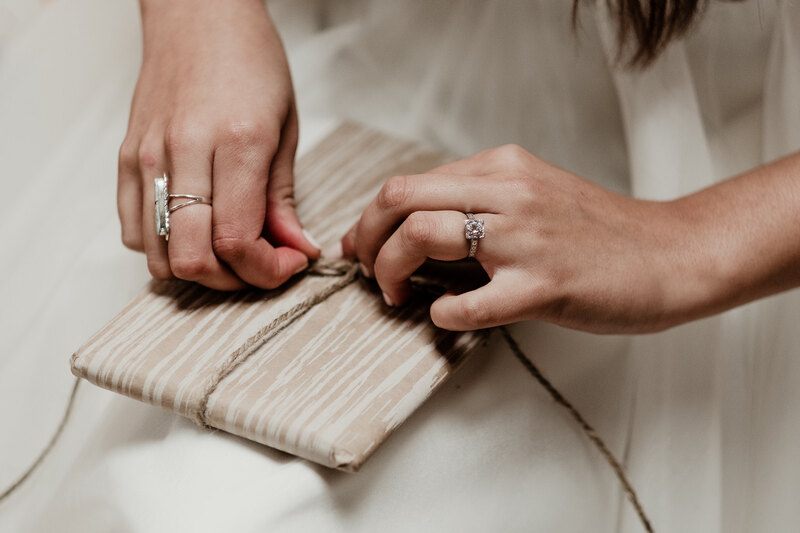 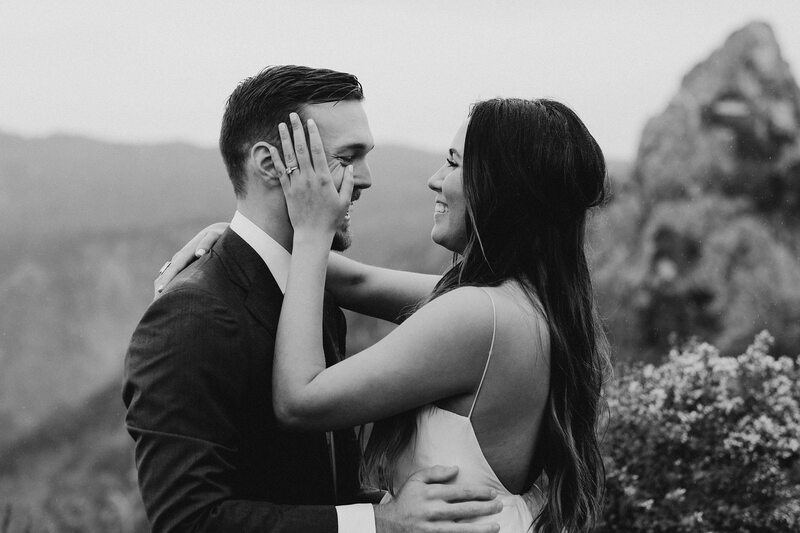 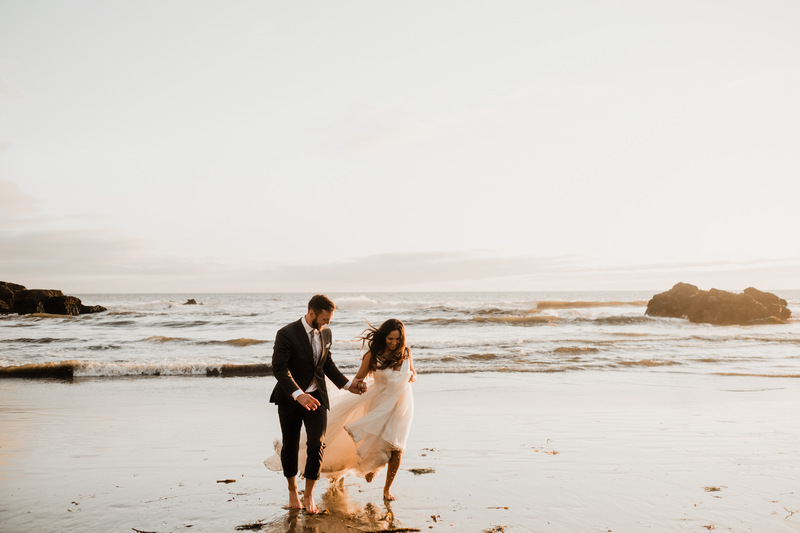 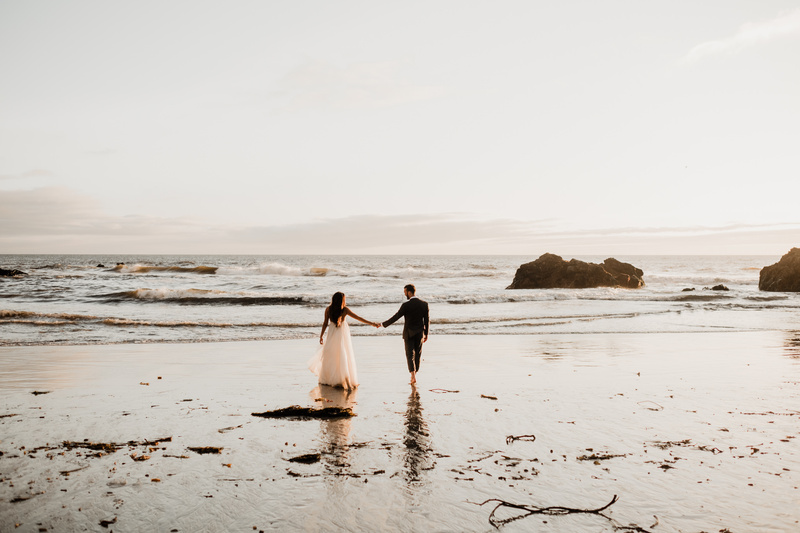 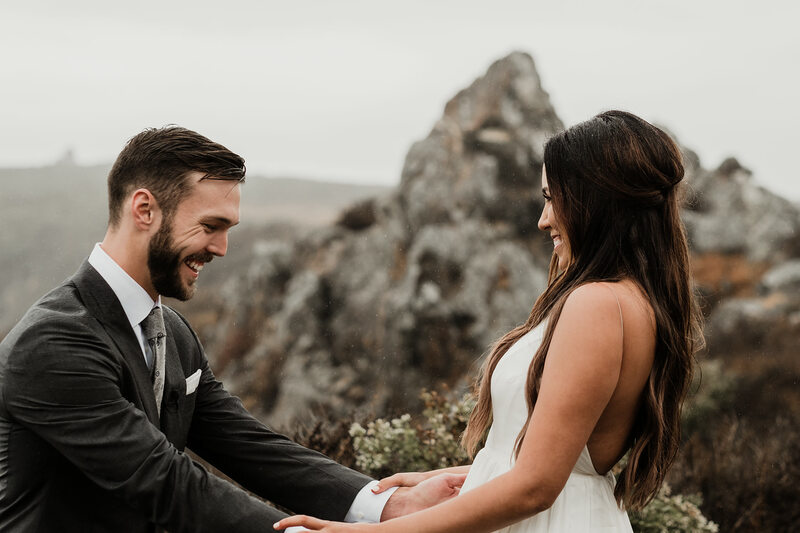 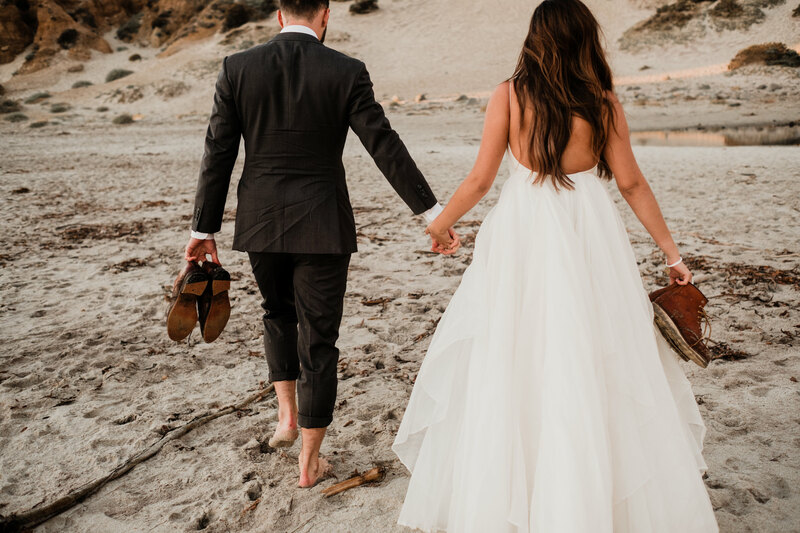 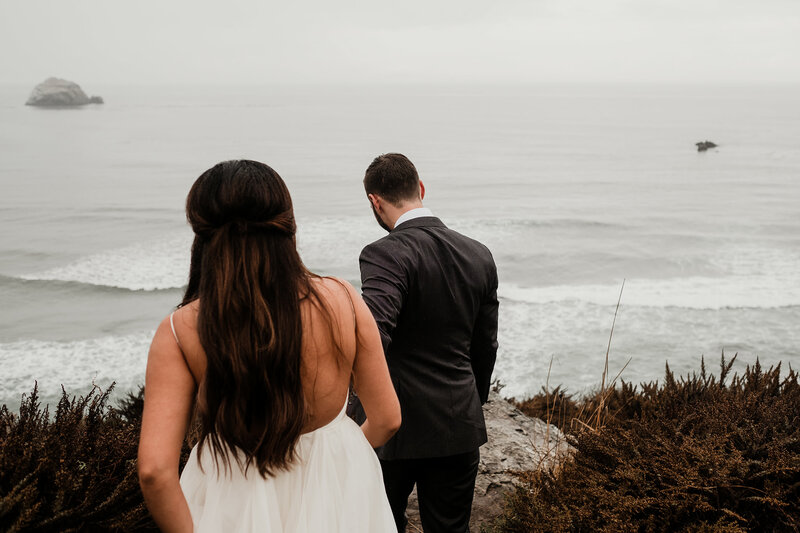 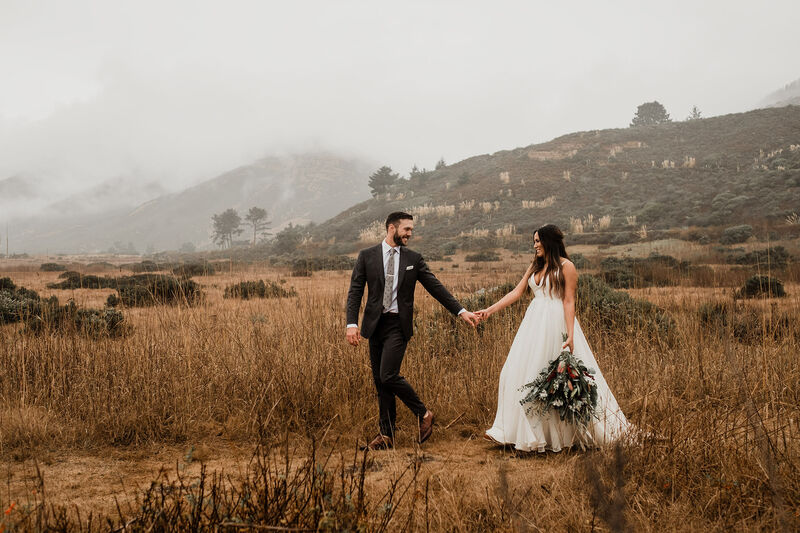 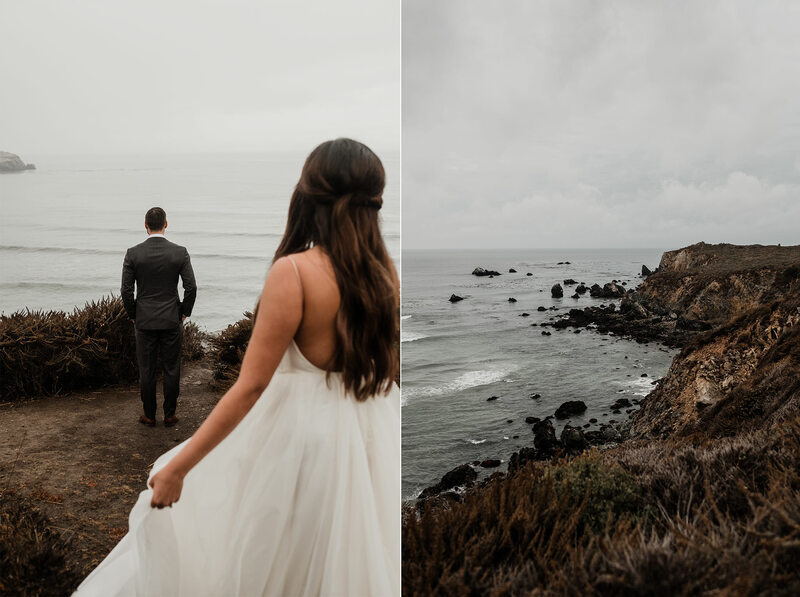 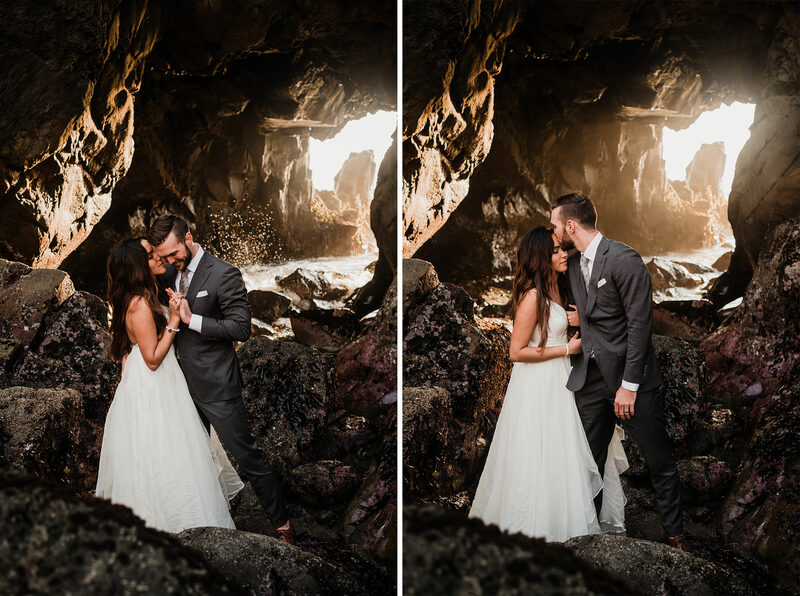 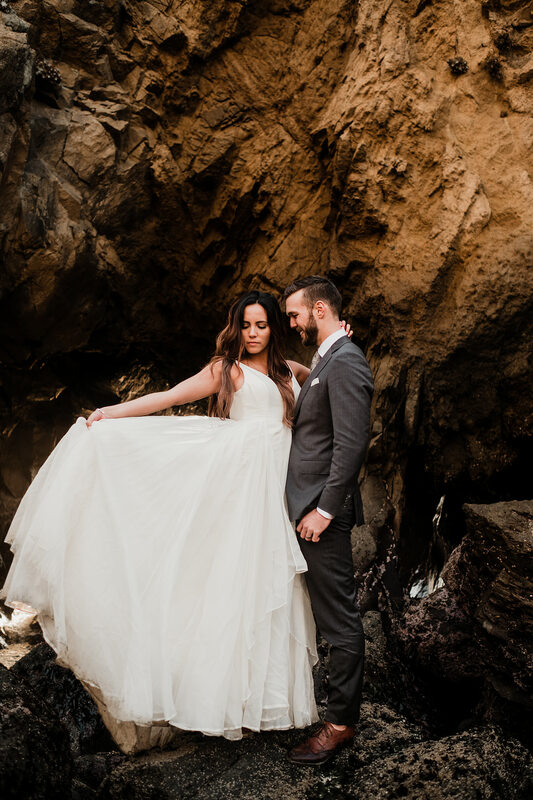 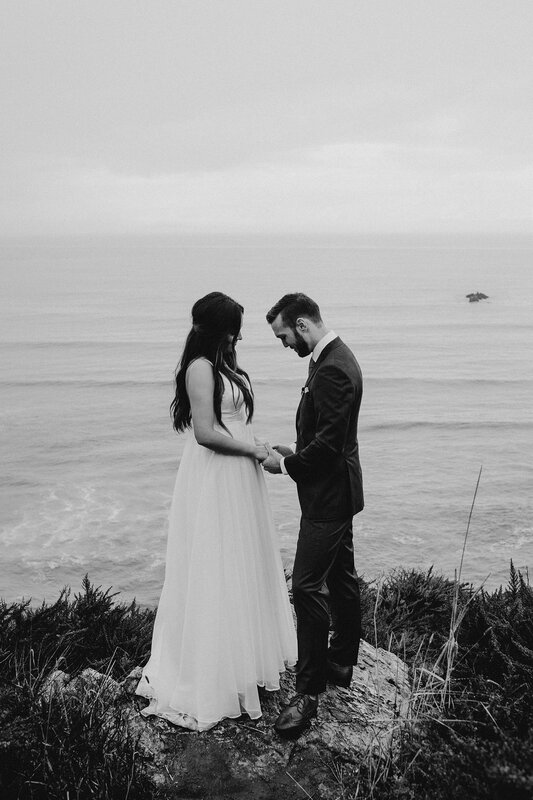 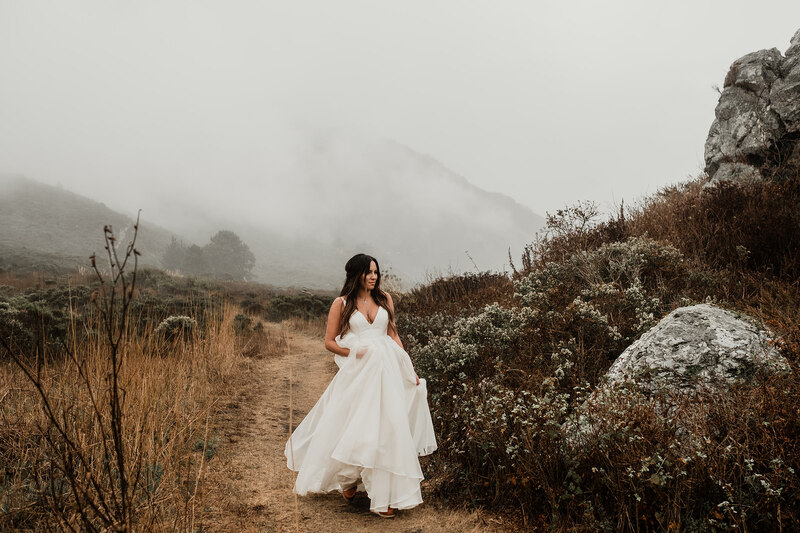 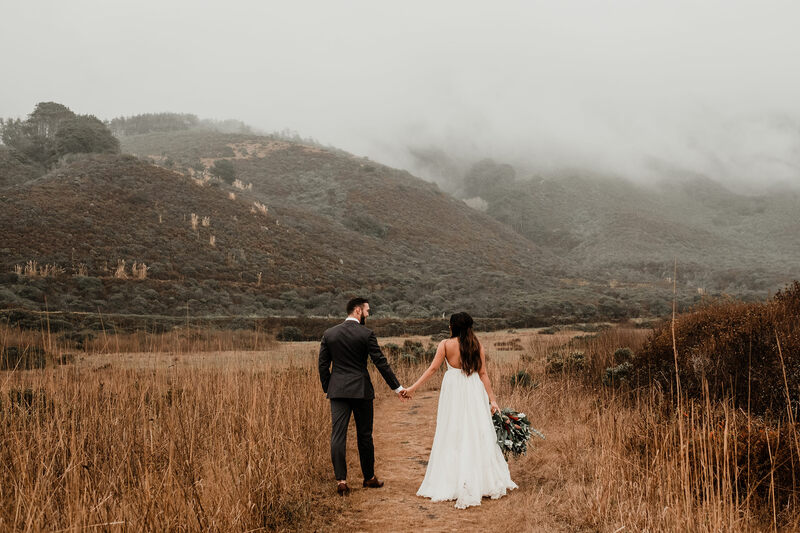 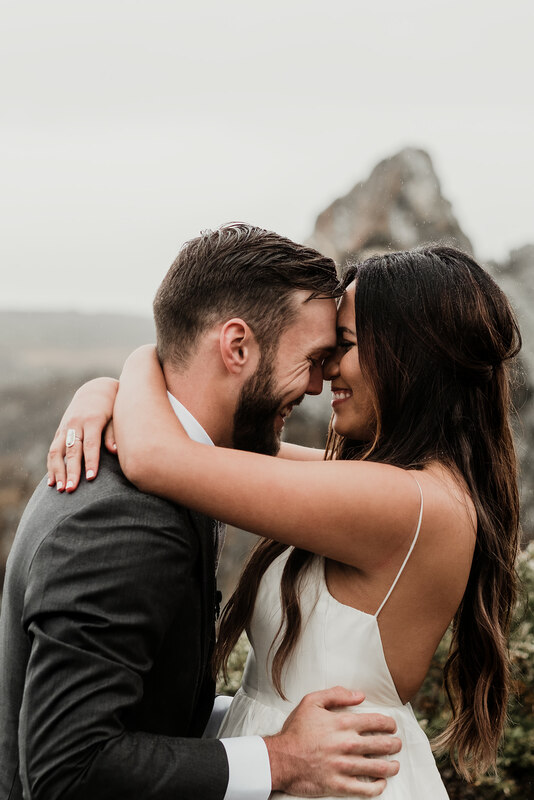 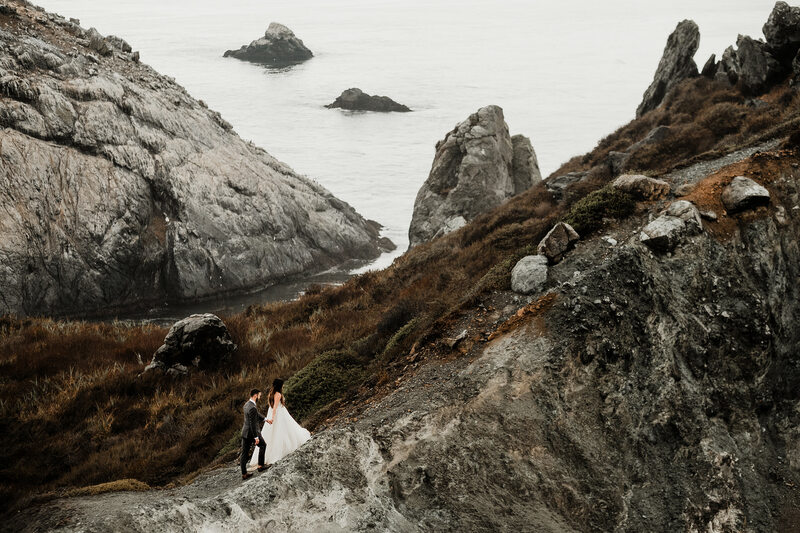 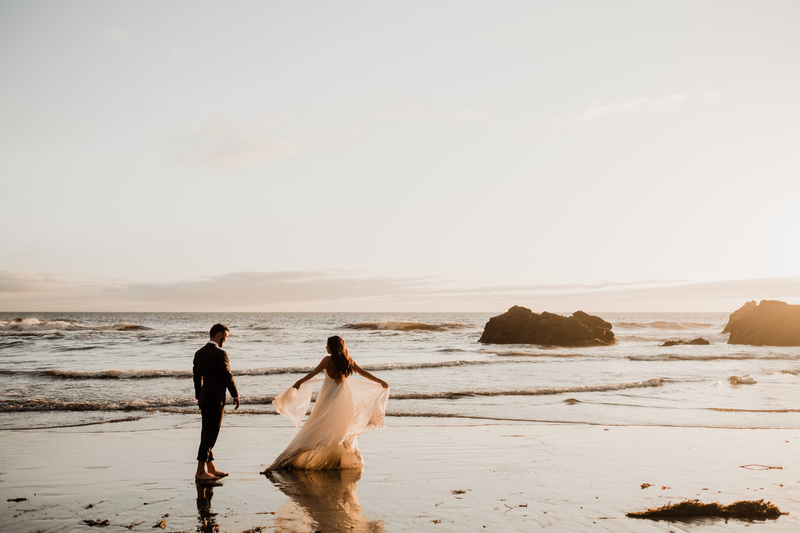 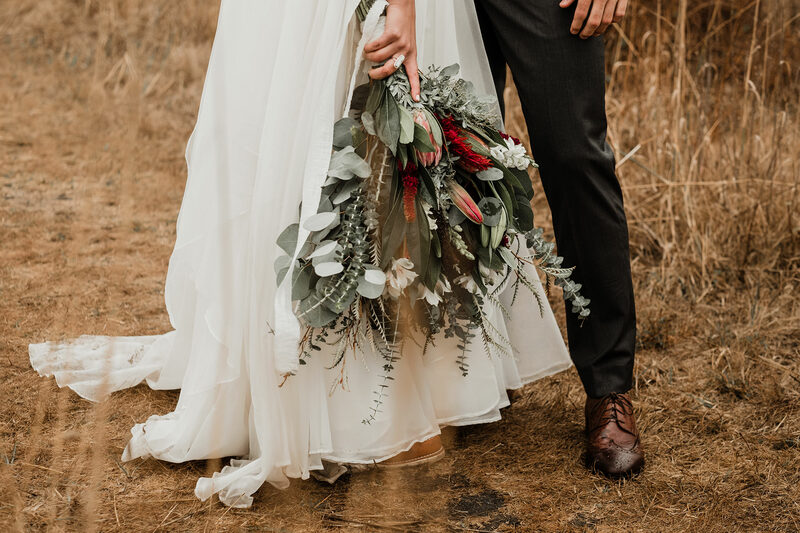 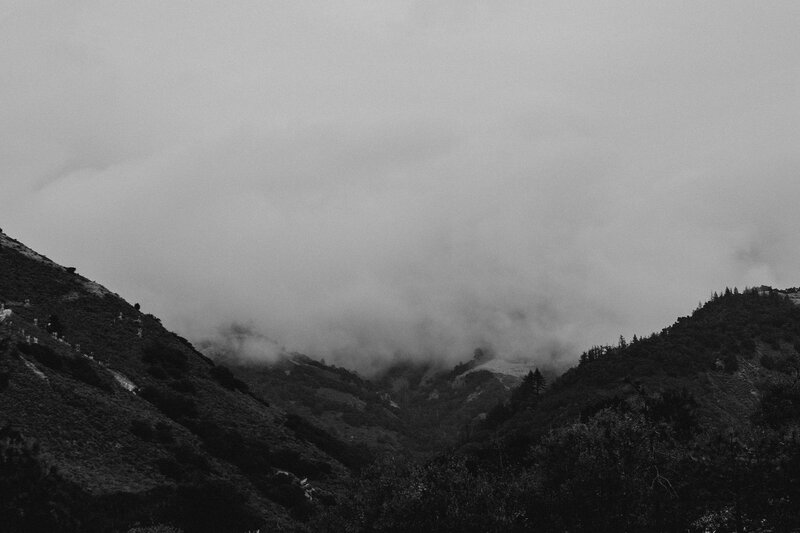 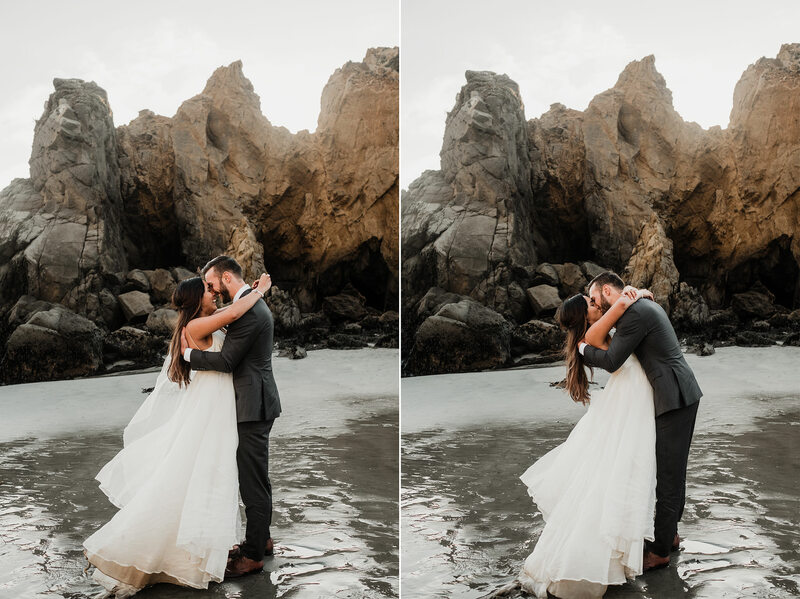 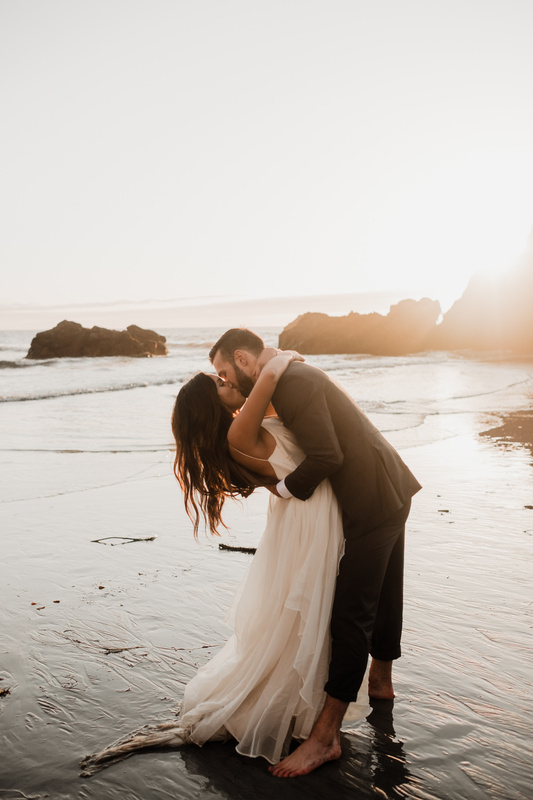 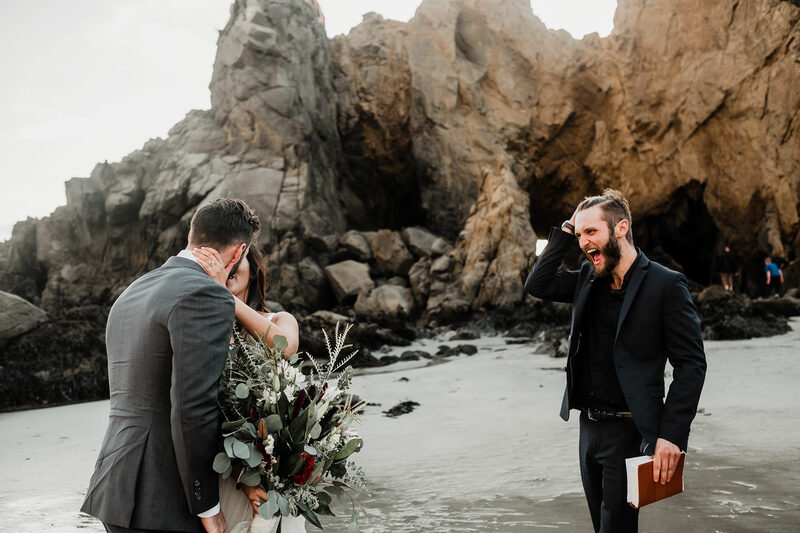 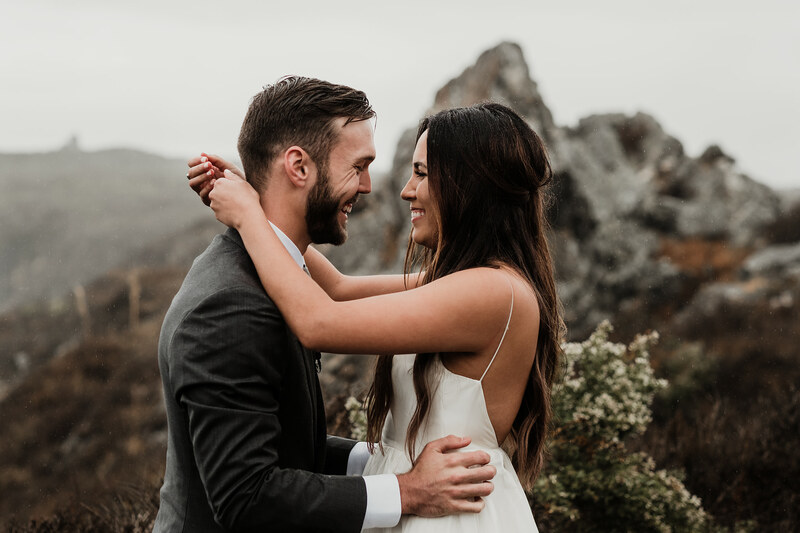 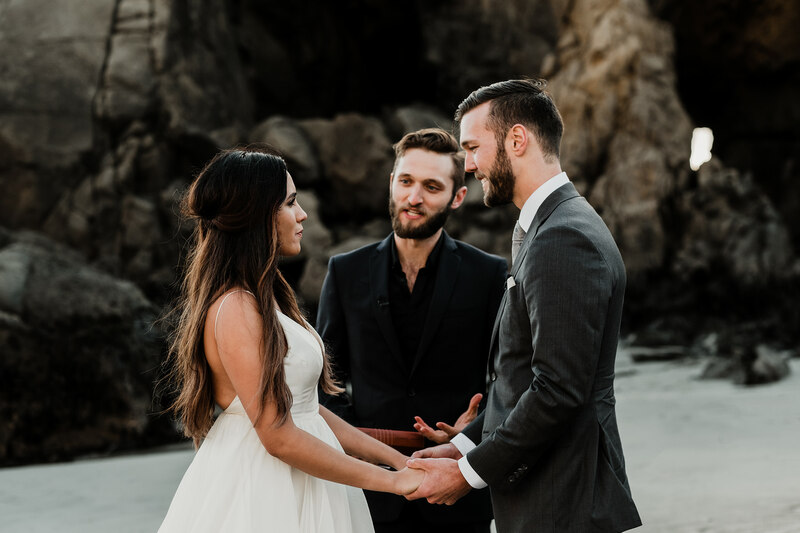 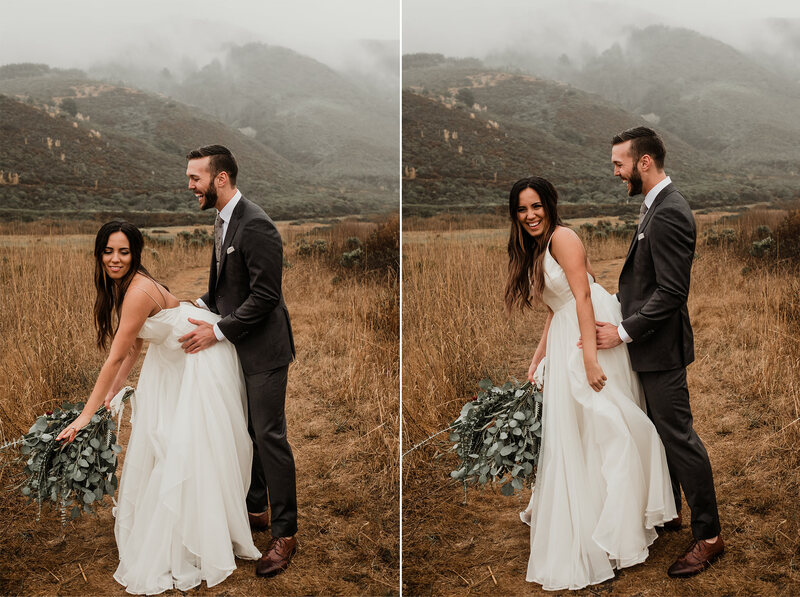 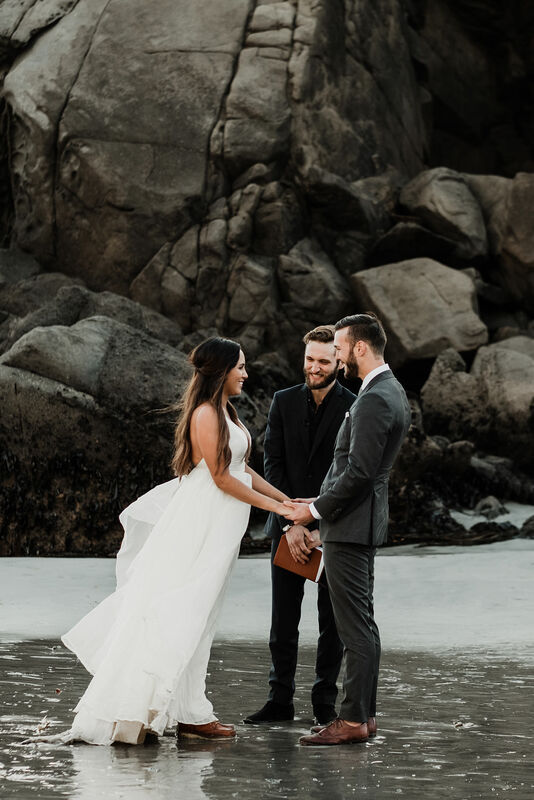 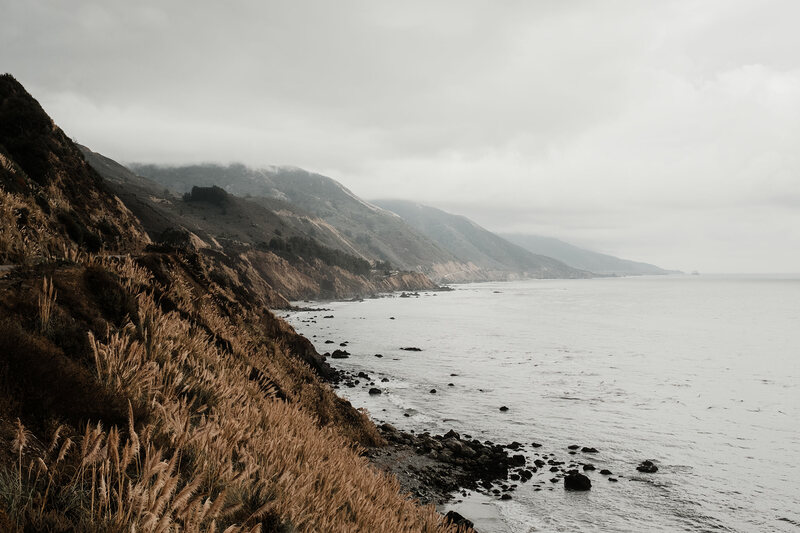 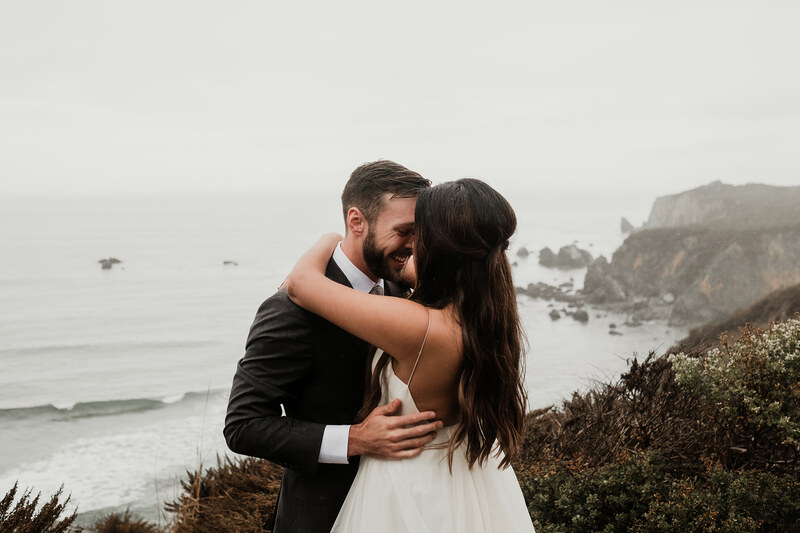 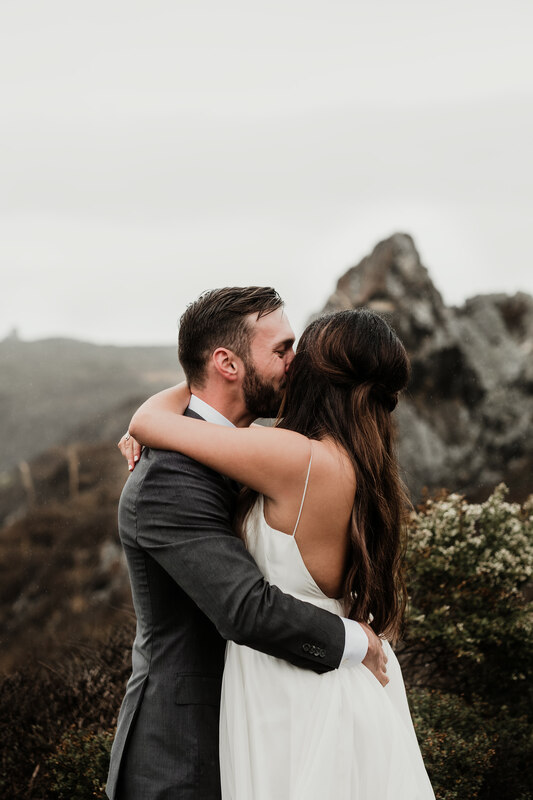 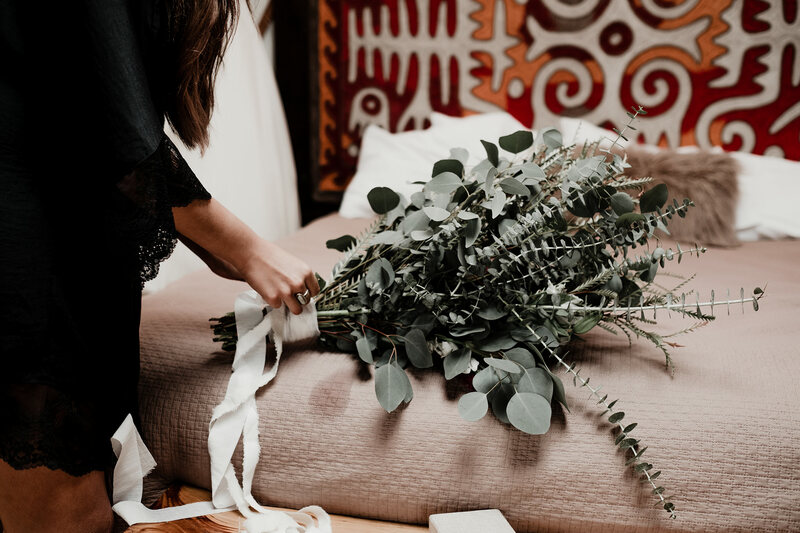 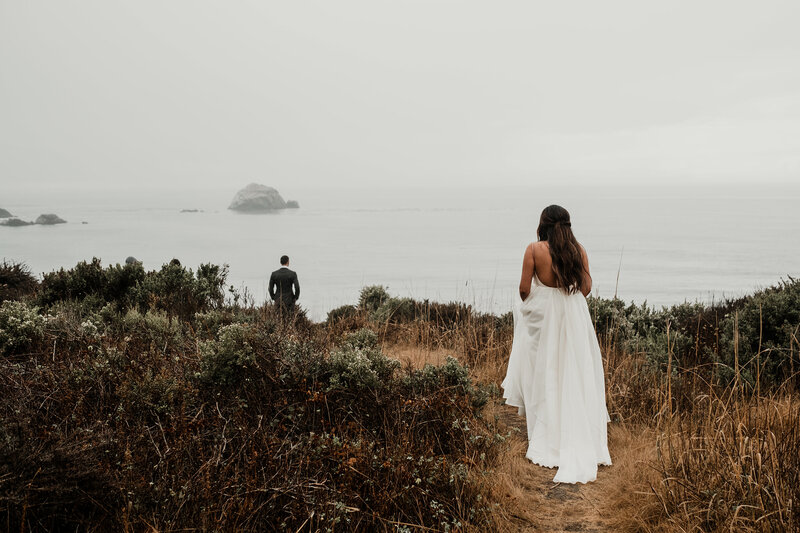 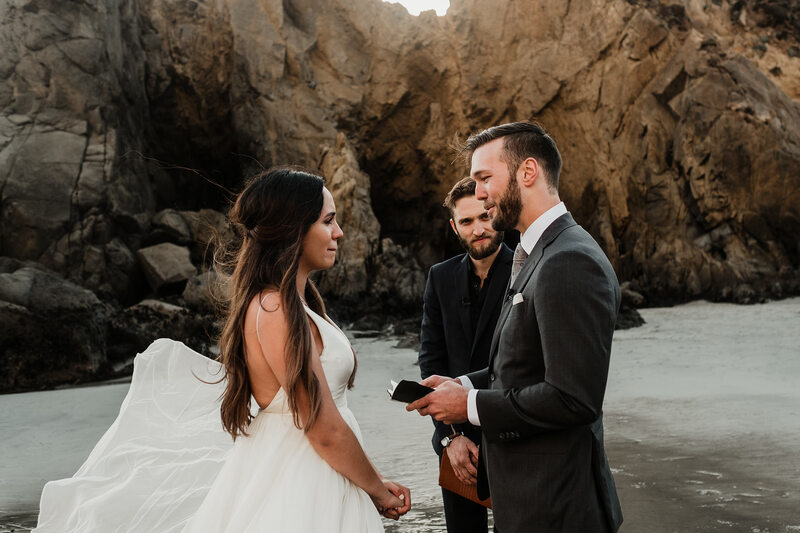 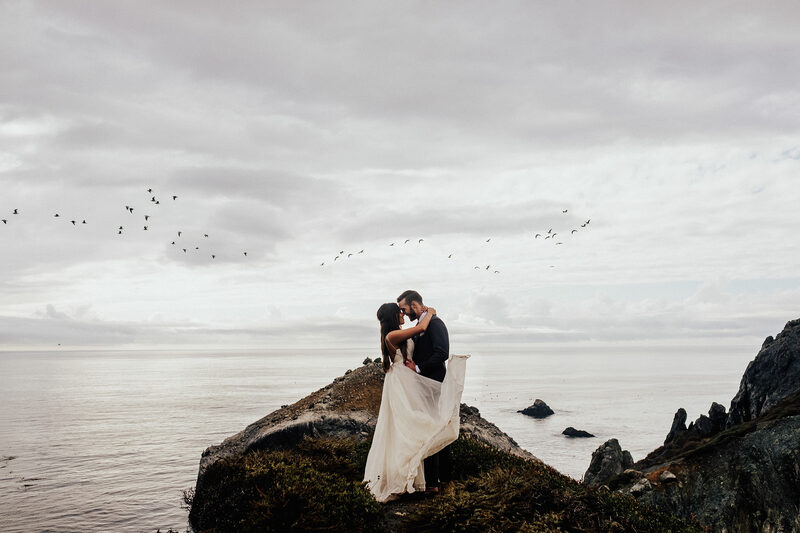 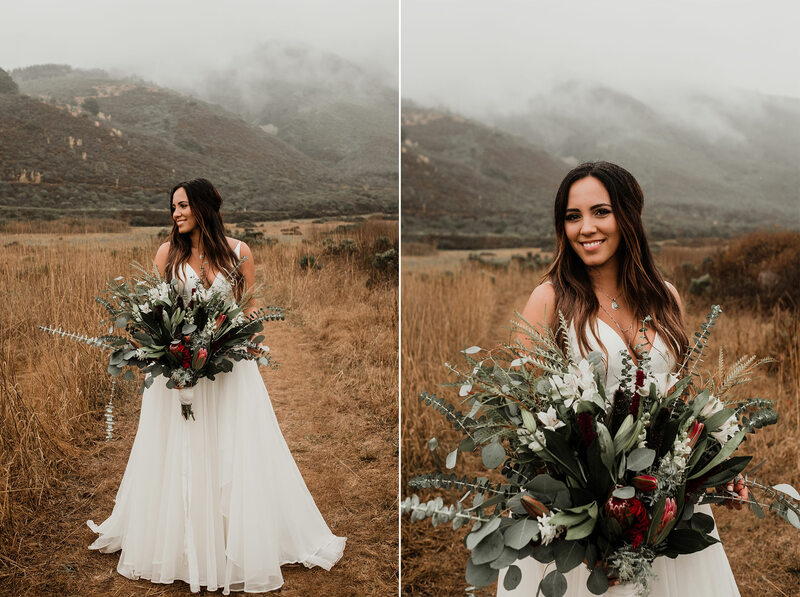 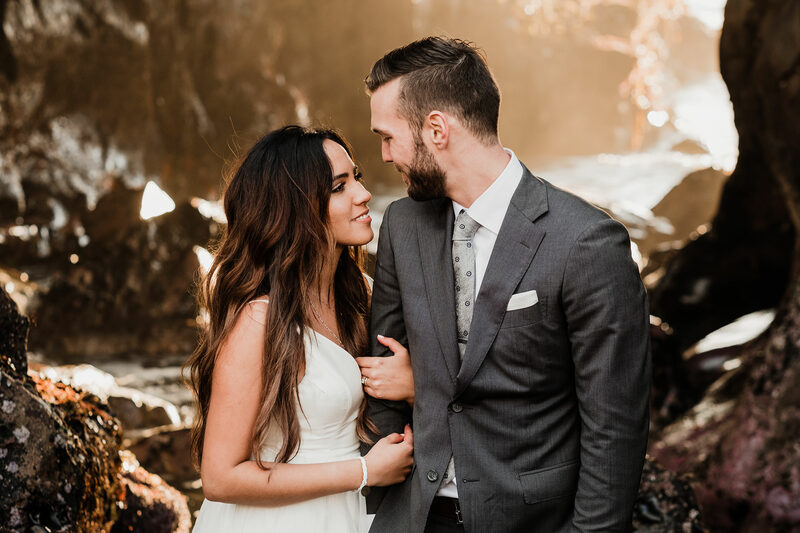 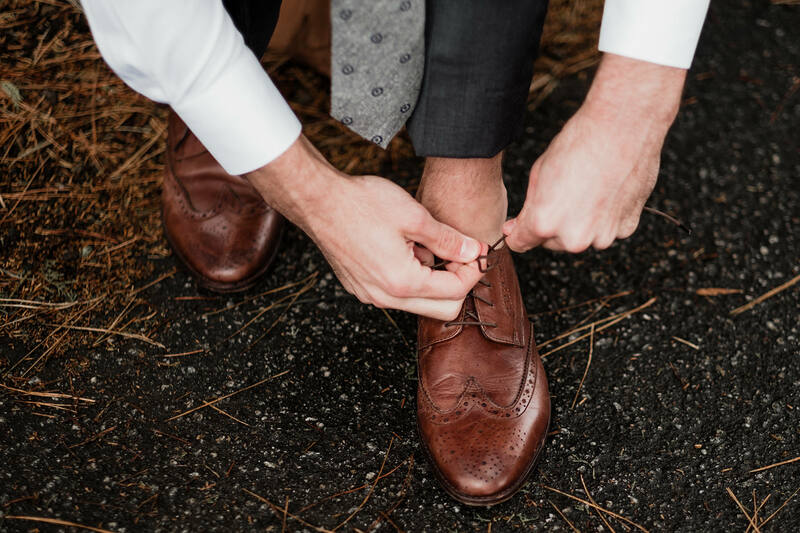 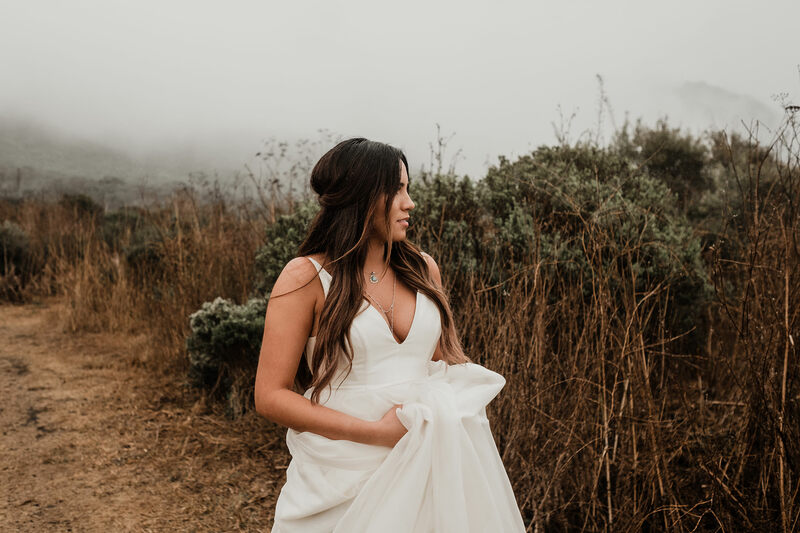 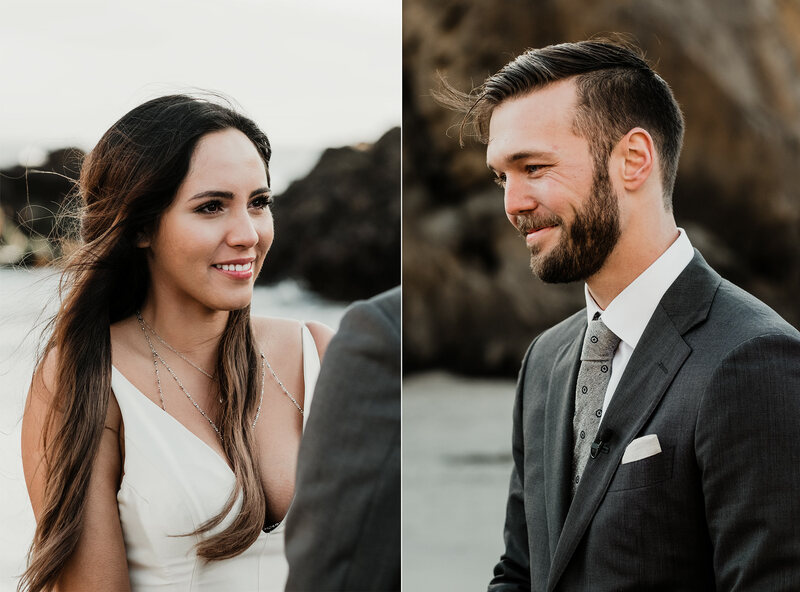 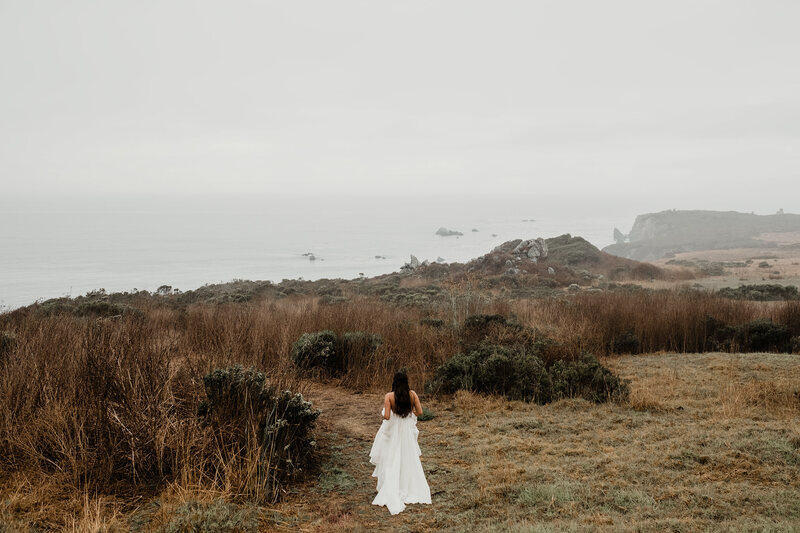 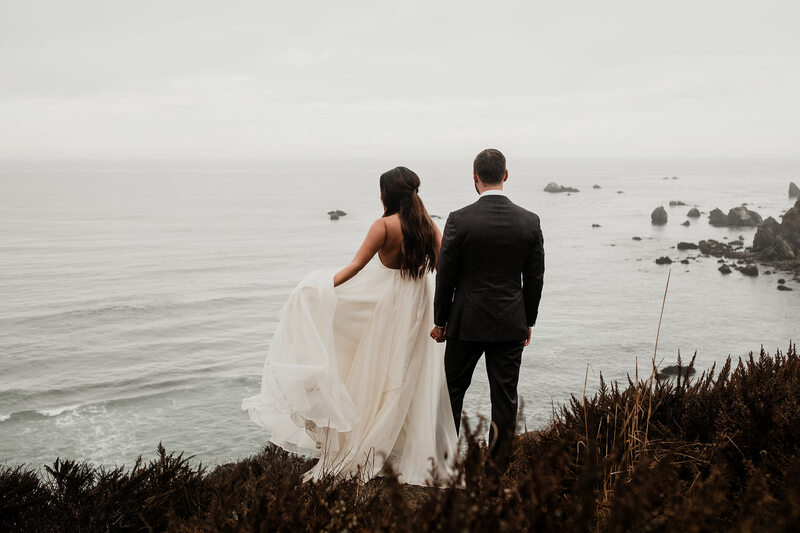 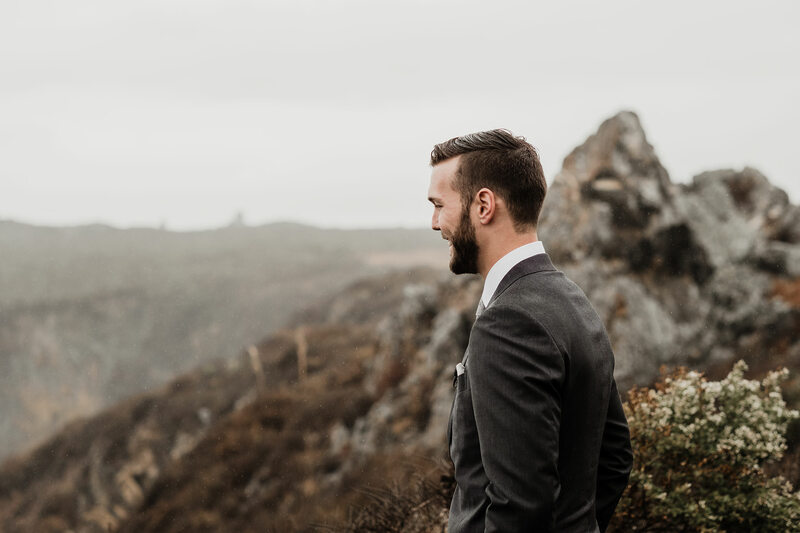 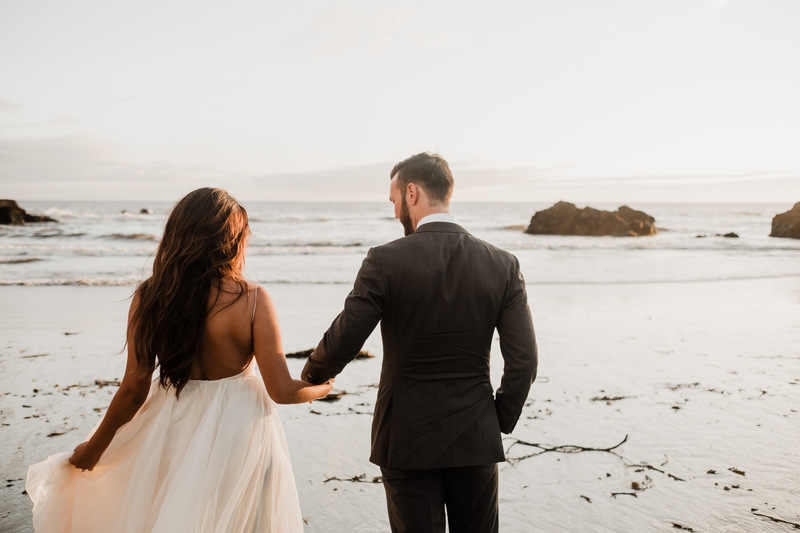 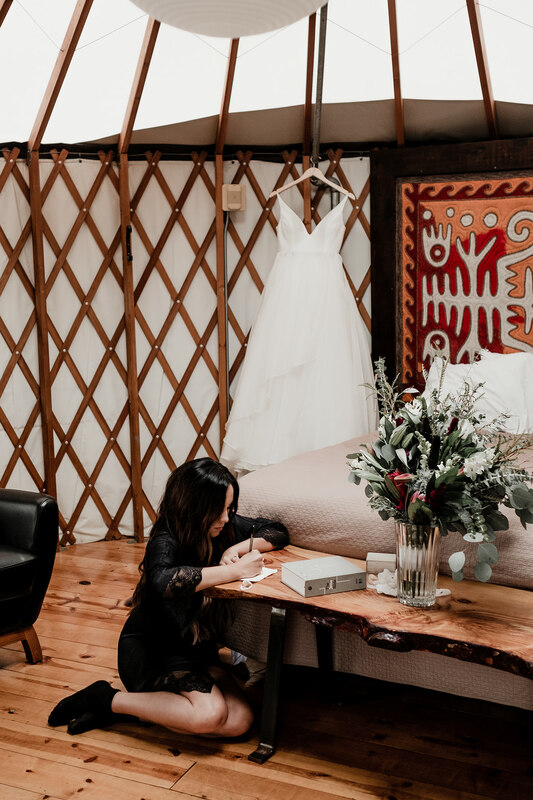 Claudia + James traveled all the way to stunning Big Sur to share vows with one another overlooking the beautiful Pacific Ocean. 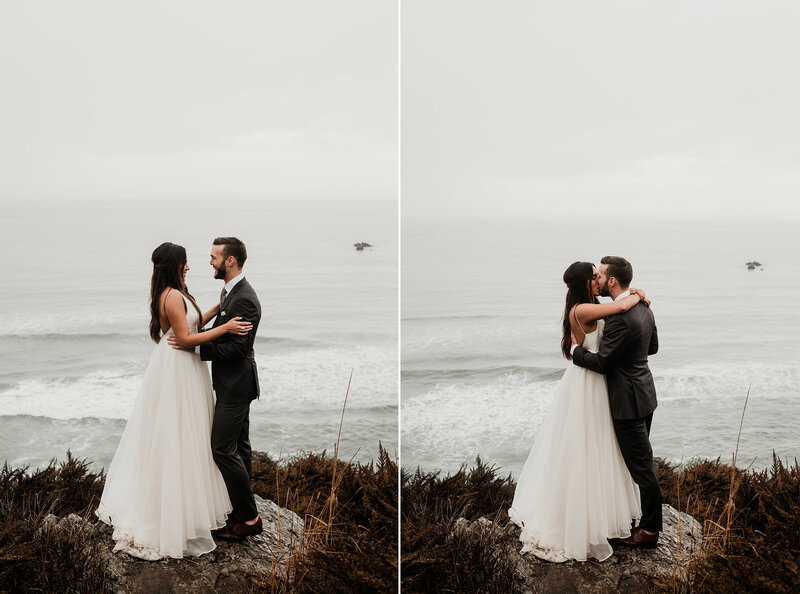 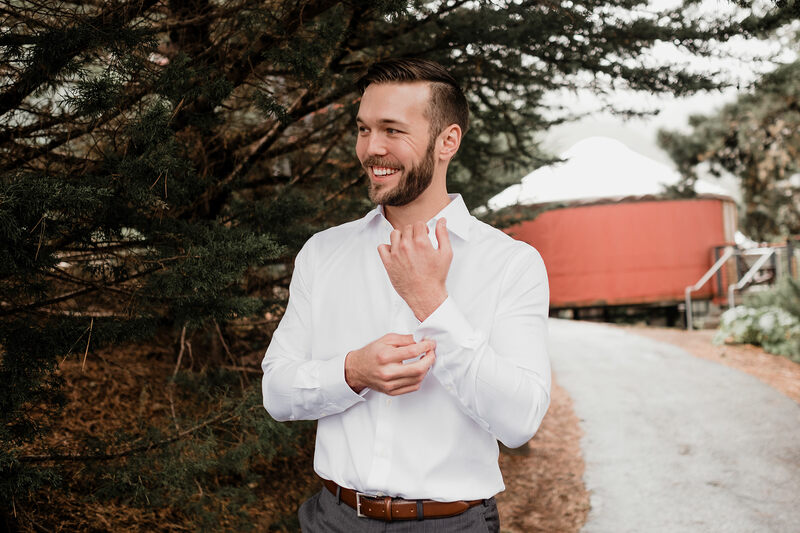 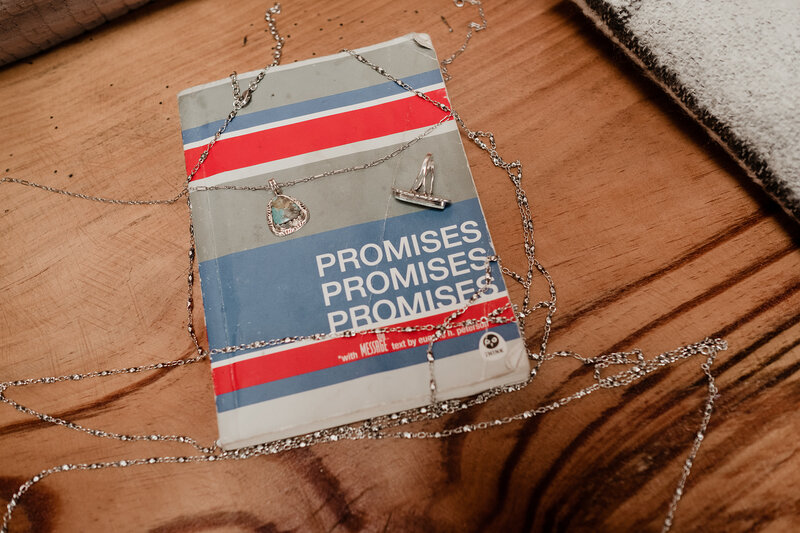 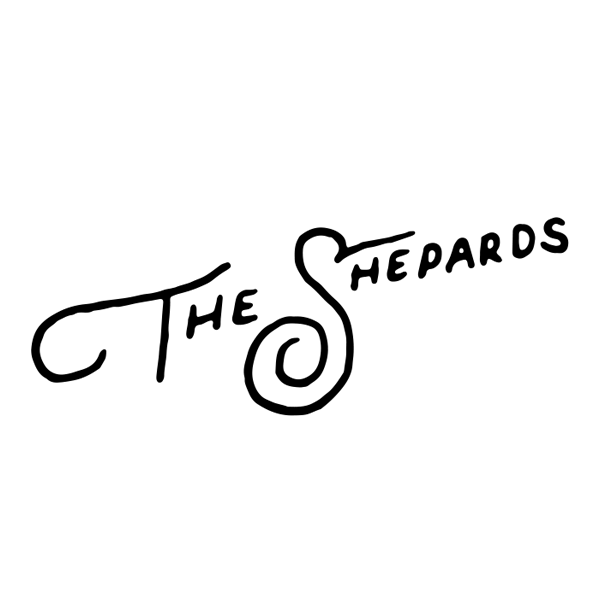 It rained through most of the day- pouring during the moments they first saw each other and sprinkled throughout portraits. 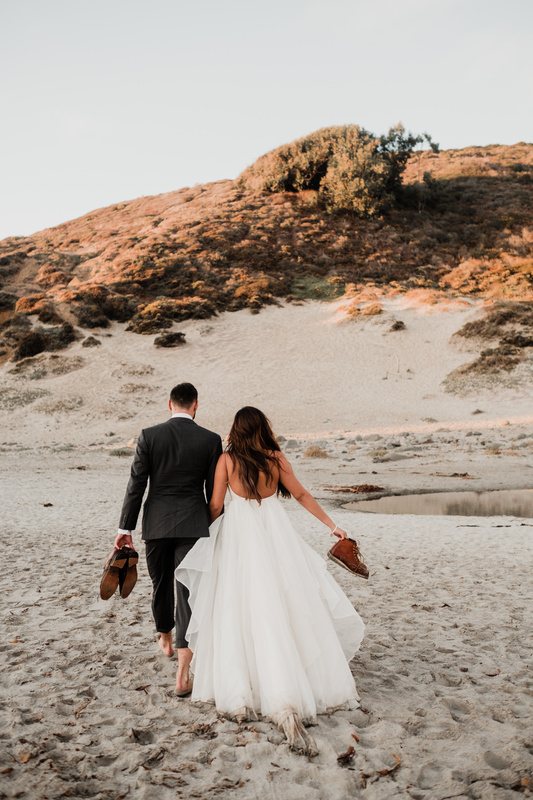 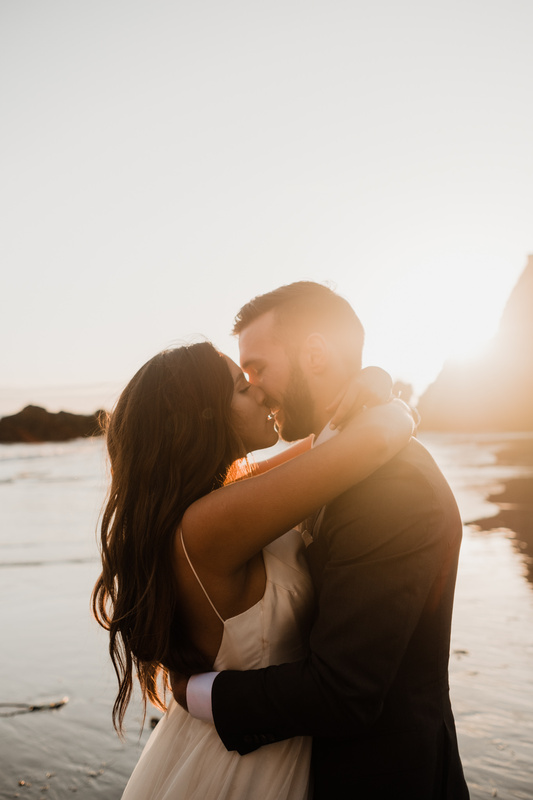 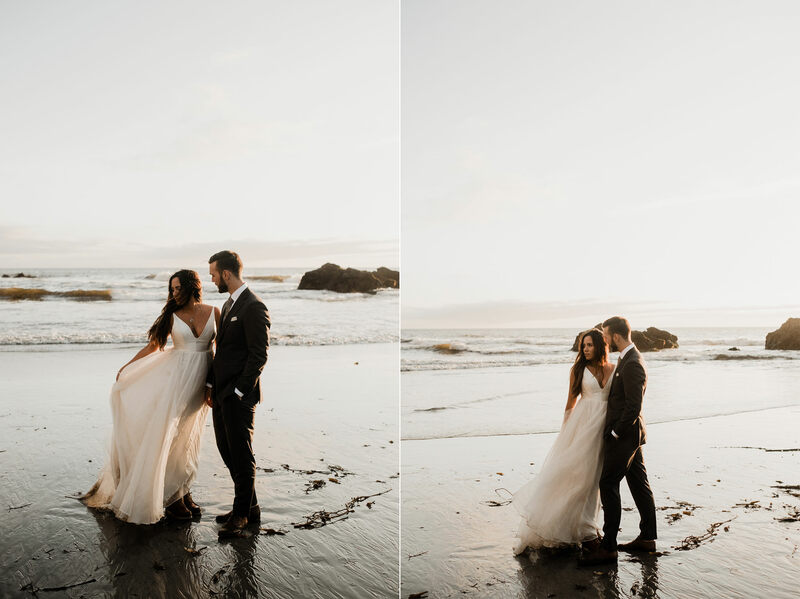 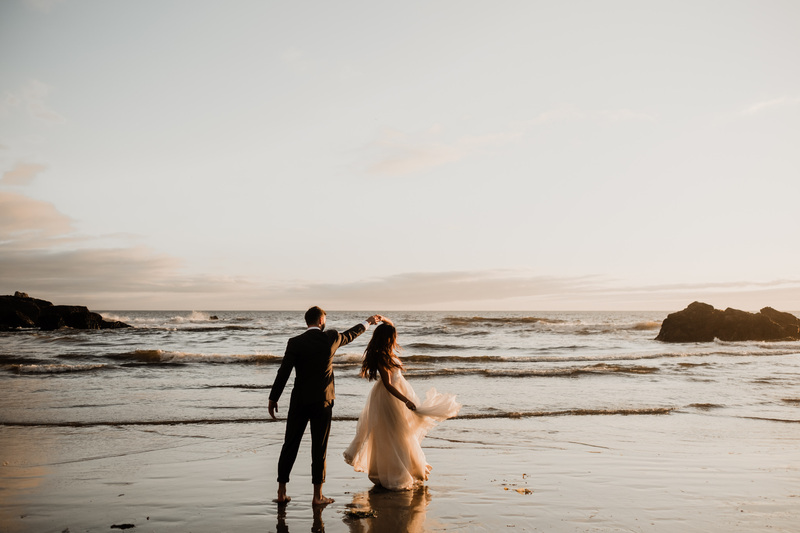 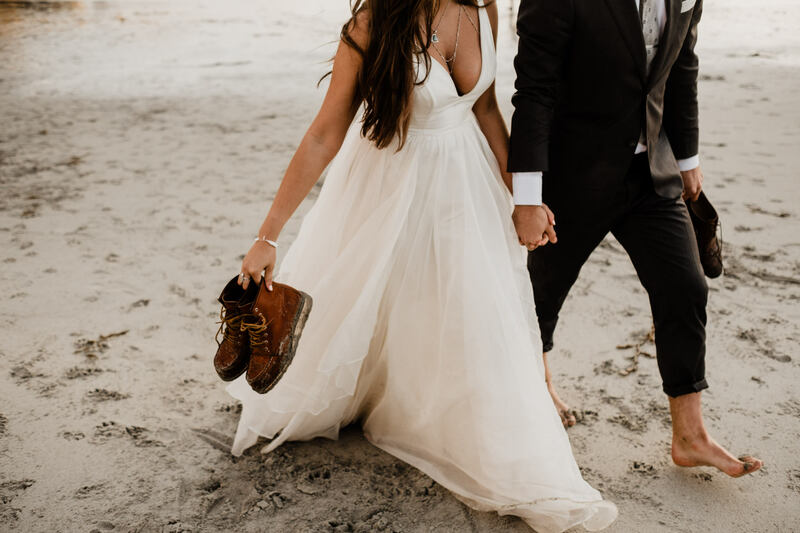 As soon as they walked out onto the beach for their vows, the sun came out and gave us the most incredible golden light. 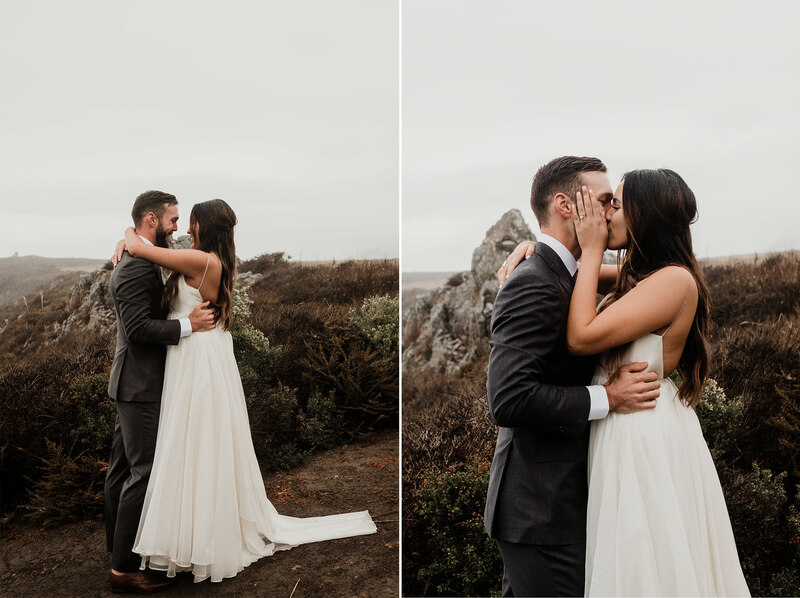 We absolutely loved their adventurous spirits and how wrapped up they were in each other- hardly even noticing the weather. 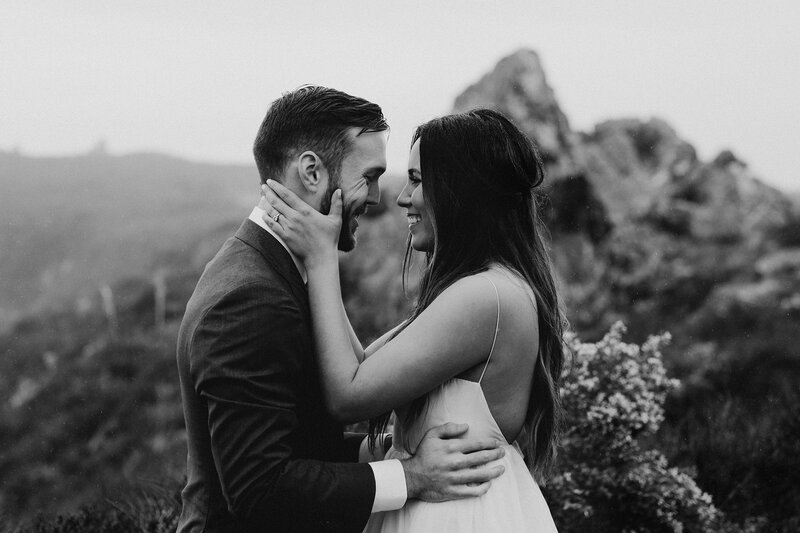 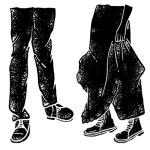  Congrats C + J!